New Orleans is a great place to immerse one’s self in black history. Now that NOLA’s Mardi Gras hangover has finally worn off, let’s take a closer look at some highlights from Black History Month. Throughout February, a variety of special events and programming took place around New Orleans in a citywide celebration of black history. Back in early February, New Orleans Youth Open Mic held a poetry workshop for young people to cultivate their writing voices and support one another’s artistic visions. The free workshop was attended by a large group of young adults. Two showings of this Ava DuVernay-directed documentary were shown this month. For many New Orleanians, it felt like a timely moment to watch a critical examination of the American prison system that sheds light on a deep, complicated history of racial inequality. The screenings were held on February 13 at the Main Branch Library and on February 20 at the Algiers Regional Library. If you missed out, you can check out film trailer here. Many NOLA residents observed Valentine’s Day with a dose of Barack and Michelle Obama. Starring Parker Sawyers as President Barack Obama and Tika Sumpter as Michelle Robinson, Southside with You portrays the Obamas’ first date in 1989. On Lincoln’s Birthday, February 12th, Loyola University New Orleans held a special Black History mass in the evening at Ignatius Chapel. A special lunch was held on Saturday, February 18th. The theme? “Celebrating our Heritage.” The event was held at the Ephesus Missionary Baptist Church and featured Sister Cynthia Davis as a special guest speaker. If you didn’t get a chance to attend the events above, you’re in luck. In New Orleans, there are plenty of places to celebrate and learn more about black history and heritage. Here is a list of pertinent NOLA locales–click the links below to start exploring! For year-round exhibits, programs and resources on local African-American history, the Backstreet Cultural Museum, the McKenna Museum of African American Art, the New Orleans African American Museum and the Ashe Cultural Arts Center are all excellent starting points. Located on Tulane’s campus, The Amistad Research Center has the nation’s largest reserve of manuscripts regarding African Americans, race relations and civil rights. The center houses more than 15 million documented materials. The Amistad is free and open to the public, Monday through Friday. When asked about national parks, most people picture expansive landscapes in the American West, like Yellowstone, or Yosemite. But some national parks in the U.S. don’t fit this mold. 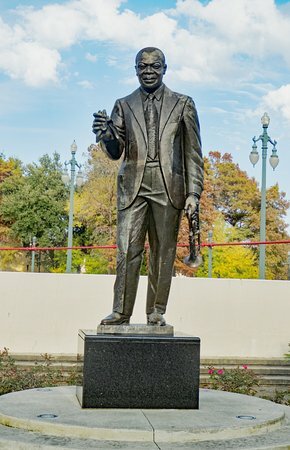 Visit New Orleans’ Jazz National Historical Park to hear great music and learn about jazz, America’s greatest invention. 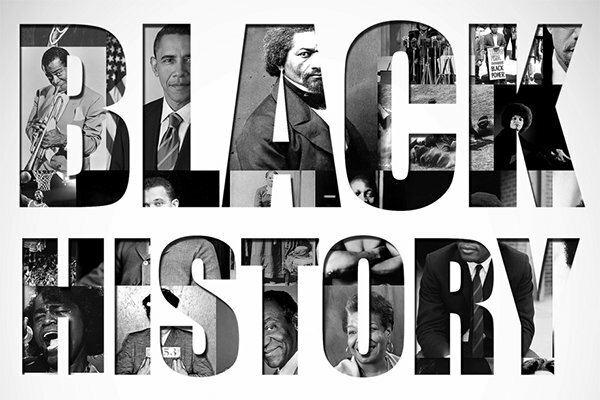 Black History Month served as a reflection on how far neighborhoods, cities, states and the nation has progressed. In light of that reflection, reviewing the aftermath of Hurricane Katrina is also important. The Lower Ninth Ward Living Museum tells the story of over 60 local residents and their experience living in the Lower Ninth Ward before and after Hurricane Katrina.